When I learned that Pineapple upside down cake recipes start with generous amounts of melted butter and brown sugar in the pan, I knew I had to make it. I had to, because I let my cravings win most of the time. I am not really a fan of pineapples, but if pineapples are swimming in butter and brown sugar , then I am all for it! 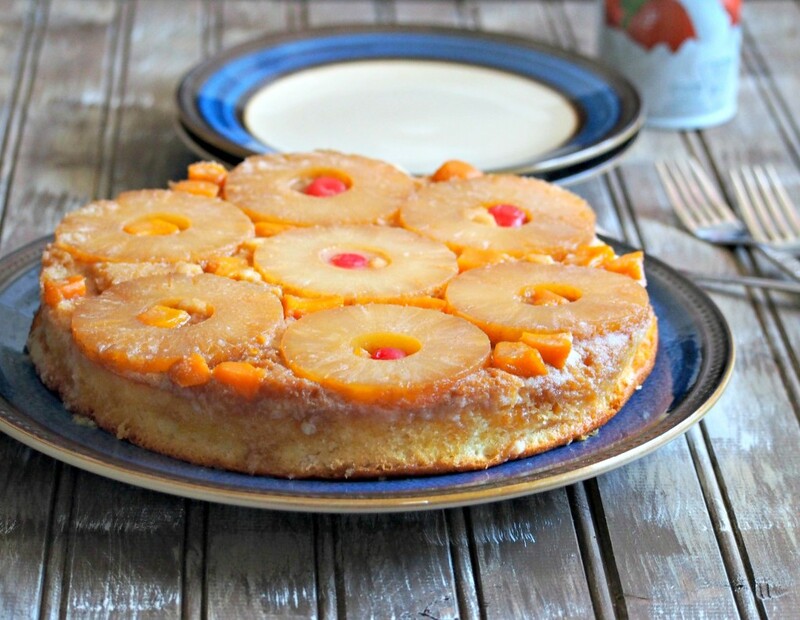 Pineapple Upside down cakes are easy to make. 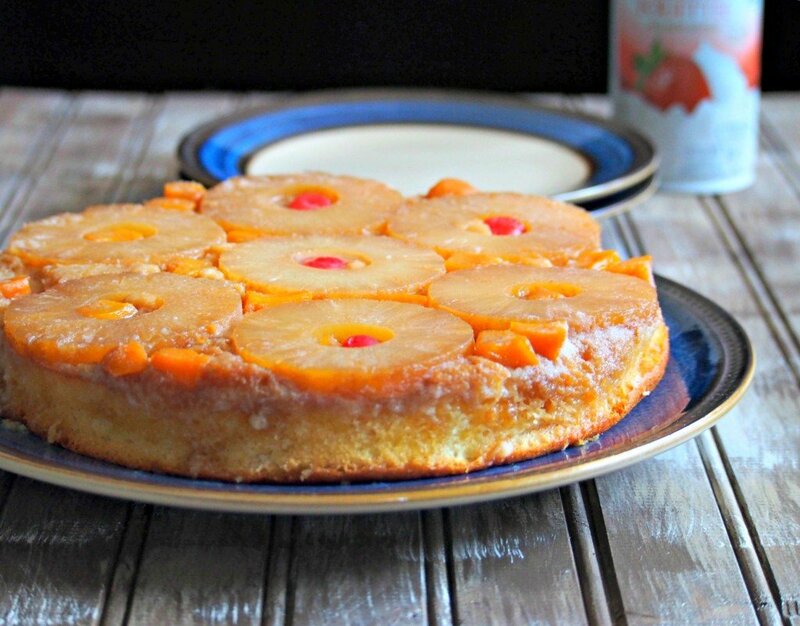 Just pour melted butter in your round cake pan, sprinkle brown sugar on top and arrange the pineapples , cherries and peaches in a single layer. Then, pour and level the chiffon cake batter on top of the pineapple assembly and and this divinity heads to the oven at 350F for about 40-45 minutes. Please continue on for the recipe. And sorry for the calories today! 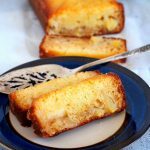 Old fashioned Upside Down cake that is oozing with melted butter and tastes fresh because of the pineapples. 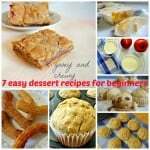 Melt butter in a microwave or stove top. Let this cool and pour on a 9 inch round baking pan. Sprinkle brown sugar evenly over the butter, then arrange the pineapple slices and cherries or peach slices in a single layer on the top. Set this aside. Make the chiffon: Whisk egg whites using a handheld or stand mixer. When bubbles start to surface, add in the cream of tartar and continue whisking. 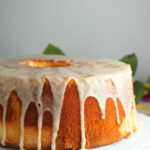 When soft peaks form, start to gradually add the sugar until stiff peaks form. Set aside. Preheat oven to 350 F.
Beat egg yolks and sugar until lighter in color and thicker. Add in milk, vanilla extract and oil and mix until combined. Sift the flour and baking powder over the egg yolk mixture and mix until smooth. Fold the egg whites gradually into the egg yolk mixture until color is uniform. 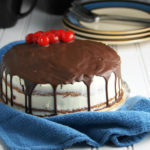 Be careful not to deflate the batter too much. 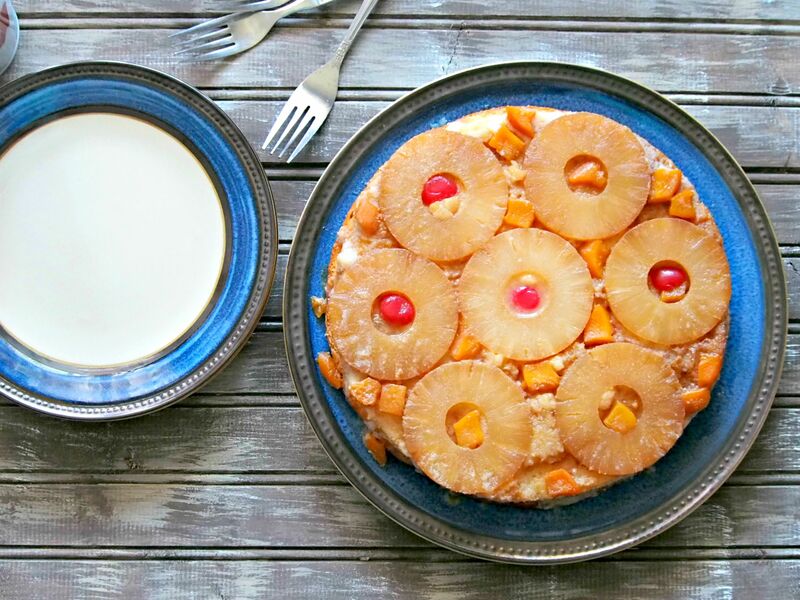 Pour the batter over the pineapple slices assembly and using a spatula, level the batter gently. Bake at 350 F for about 40 minutes or until the cake is golden brown.Cool pan on a wire rack for about ten minutes. Turn over on a serving plate. Let cool completely and serve.